Midway Airport, also known by its full name of Chicago Midway International Airport, is one of the two main airports serving the city of Chicago, Illinois. The other key airport for Chicago is O'Hare International Airport, which is a lot busier than Midway Airport, but Midway Airport still serves a lot of passengers and is a good option for people wishing to travel around the United States, especially with Southwest Airlines. Over 22 million passengers are expected to pass through Midway Airport each and every year, and if you've ever spent an extended period of time waiting around at an airport, you'll know how boring it can be. It becomes especially frustrating if your flight gets delayed and you need to spend hours and hours standing around in one place. Fortunately, Midway Airport is fitted out with a wealth of amazing amenities and features to make your stay much more enjoyable and entertaining. If you happen to get hungry or thirsty while hanging around at Midway Airport, you'll be able to choose from a massive selection of restaurants, bars, cafes, and fast food joints. Read on to learn all about the best places to eat at Midway Airport. You'll find places to eat all around Midway Airport. Both in the pre-security and post-security zones of this airport, there are several great cafes, fast food locations, bars, and full sit-down restaurants. Read on to learn more about some of the best locations so you'll never have to go hungry again when traveling from Midway Airport. Open every single day of the week and located in Concourse B, BIG & little’s is an authentic Chicago restaurant with great locations all around the city, including one at Midway Airport. Beloved by locals and visitors to Chicago alike, BIG & little’s offers a super selection of tacos, burgers, po'boys, seafood, wraps, burritos, sandwiches, and more. The Porkbelly Po'Boy is particularly popular here, but the Fish Sandwich, Hercules Burger, and Vegetarian Tacos are also great options depending on how you're feeling that day. There's a large food hall in Concourse A and Arami is one of the best places to check out at this part of Midway Airport. Open all days of the week from 5am through to 10 in the evenings, this Japanese restaurant offers classic Japanese fare like sushi and sashimi. They also serve up some amazing sake to go along with your food, or you can choose to drink a cocktail or non-alcoholic beverage too. Out in the Central Market area of Midway Airport, you'll find DeColores. This is a refined Mexican location serving up an outstanding array of family-made dishes that have been passed down through the years. DeColores is actually one of the top rated restaurant locations in all of Chicago and the Midway Airport location lets you sample some of the restaurant's greatest creations and tastiest treats before hopping on a plane and heading off somewhere new. Also situated in the Central Market area is the Go Go White Sox Bar and Grill. The Chicago White Sox are an iconic baseball team known all over the world, and this super sports bar celebrates the White Sox while welcoming fans of other sports teams too. You can catch live games and sports news on the TVs around this bar and grill while also enjoying a nice menu of seafood, burgers, cocktails, and more. Continuing the baseball theme, we have the Home Run Inn. Baseball has always been a big part of Chicago culture, so it's no surprise that the Home Run Inn is very popular with the locals here. This place serves up some typical Chicago food like pizza, wings, loaded fries, and more. Those looking for something a little healthier can choose a soup or salad, but the pizzas are what make this place special and the 'Chicago's Best' pizza, topped with sausage, bacon, and pepperoni, is a timeless classic. Over by Gate B14 in Concourse B, you'll find Porkchop. Another big hit with the Chicago natives, Porkshop provides some super southern-style food that really hits the spot when you're having to wait around for your flight to depart. You can get some classic BBQ grill food here, with pulled park, wings, and ribs being key items on the menu. The prices at this Midway Airport restaurant aren't bad either, so it's a nice option if you want high quality food at an affordable price point. Burger places are usually very popular at airports. 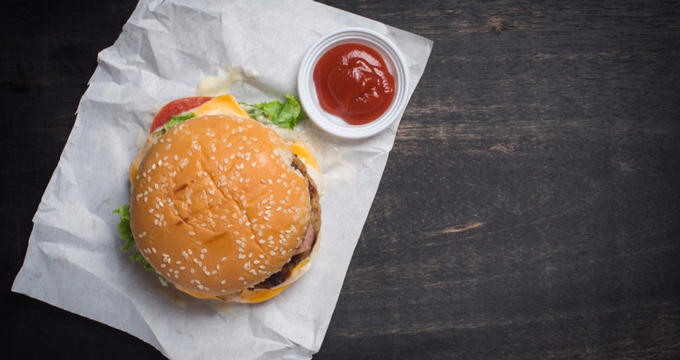 Grabbing a burger is ideal for most passengers, with burgers being quick to make, easy to eat, and highly delicious too. Everyone loves a burger, and if you're searching for the best burgers at Midway Airport, look no further than True Burger Co. Located in Concourse A over by Gate A5, this location is open all week long from 5am through to 9pm and serves up classic hamburgers, as well as chicken, turkey, and veggie burgers. You can choose from all sorts of toppings, with plenty of healthy, low-calorie options available for those watching their weight.